Shipping and handling is always free and you can skip or cancel at any time. Award-winning coffees, roasted to perfection, and delivered at peak freshness. Plans start at $13. Here at MCC, we deliver the best lots of single-origin coffee from growing regions worldwide, curating our selections for their superior quality and unique tastes. We ship day-of-roast to ensure that our coffees arrive at your doorstep at the peak of freshness, ready to be enjoyed. Our goal is to make it easy to brew and enjoy specialty coffee at home that is fresh, exciting, and most importantly, delicious. Create an account, pick a plan that works for you, and add some of our current selections to your subscription queue. If you can't choose (we know it's hard) we'll ship you our favorite, no worries. We'll roast your beans to order and ship day-of-roast, so your coffee arrives at peak freshness, ready to enjoy. We'll also include all the details about each coffee and the people who produced it. Your feedback trains our A.I. to select new coffees that you'll love, or you can keep adding beans to your queue. Either way, a new and exciting premium coffee will be headed your way on your subscription schedule. Unbelievable variety coupled with premium quality is our goal when sourcing beans. Our single-origin coffees are selected for the perfect combination of seasonal freshness and unique flavor profiles. The search takes us around the world, exploring different regions, producers, and processes with each selection. Check out all the coffees we've shipped lately, and keep an eye out for new selections every week! It looks like my tastes are a lot different than other reviewers so far. I thought there was something utterly classic about this cup. It doesn't have the tinny brightness that a lot of third wave coffees have, and didn't leave me feeling overly wired. This is a silky, full-bodied cup that came from my Chemex clean, low-acid, and with light sweetness. It was a nostalgia trip in a good way-- it seemed to me like truck stop or local-joint coffee, idealized. This is what all the bad coffee I ever drank was supposed to be. I have been a member of this club for over 2 years and this is for sure One of the top 5 most enjoyable coffees I have been sent. Good, strong cup of coffee without too much bitterness. This is a great coffee! It starts out with dark chocolate, then the tartness and fruits kicks in. Currant, citrus notes that lingers. It makes you want to take another sip before you even swallow the first. Very addicting. This is exactly the reason why I subscribe to the tasting series. You simply can't get this kind of complex, delicious coffee in the stores (at least not where I live). ...but loved it and waiting to try the next. Really enjoying this in a cortado. Maybe top 3 for me. For perspective, big fan of Copa Vida and Dripp. The official description is dead-on - creamy chocolatey with a hint of acidity. Grind setting on 2 on a superauto DeLonghi. Skip the coffee gift basket and give your favorite coffee lover something they'll actually use every day: a fresh supply of premium-quality single-origin beans. Whether it's a smooth, chocolatey Colombian coffee or an aromatic and fruity Ethiopian coffee, our subscription plans always include top-quality beans, roasted fresh and delivered ready to enjoy. It's easy to customize your gift for any occasion with our simple order form - so what are you waiting for? Make someone's morning for months to come! For the truly curious coffee enthusiasts, we're pleased to offer rare and award-winning coffees in limited batches on a monthly basis through our Tasting Series. Our goal is to provide more than a simple coffee subscription, but an elevated and educational experience for coffee drinkers around the world to experience truly exceptional coffees that are too rare or expensive for day-to-day brewing. Our coffee isn't just fresh, delicious, and perfectly roasted - it’s also ethically sourced. Selling single-origin coffee goes beyond just knowing the region, we'll tell you the name of the farm or the farmer who produced our coffee, and we ensure that every bean we purchase far exceeds fair trade prices. We want you to drink great coffee for years to come, so we work with sustainable, forward-thinking producers to safeguard the stability and continued success of specialty coffee worldwide. We love coffee in every form, and our members do too. No matter if you're dialing in shots on an espresso machine or brewing your morning french press, we want you to have the best beans at your disposal. We offer decaf and espresso subscriptions, as well as a classic series tuned towards more chocolatey tastes, a perfect option for cold brew. You can switch up your preferences at any time to try our full variety of beans and find the perfect cup of coffee for how you brew. Delicious coffee doesn't have to come from an aloof barista with fancy equipment. With some practice and simple tools, you can turn coffee at home into an amazing experience. 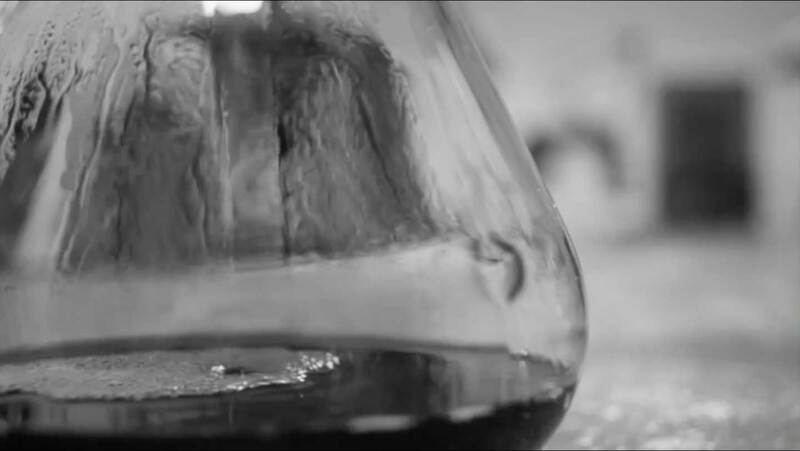 We'll help you perfect your pour-over technique, extract the right balance from your AeroPress, and nail the grind size for your Chemex. Our brew guides have tons of tips for getting the best out of your brew, and we're always adding more! We think that coffee subscriptions are the best way to enjoy premium quality coffee at home. We've been offering subscriptions since 2013 - and we think that we do a great job - but we know there are a lot of options. If you're on the fence, we've put together a quick overview of the subscription concept and current marketplace. Read about coffee subscriptions and which one is right for you!